Acupuncture involves the insertion of very fine surgical steel needles in specific points on the body, with the intent of treating certain conditions. The targeted anatomical structures are determined by the examination findings and the aim is to stimulate a healing response directly at the tissue level. Electric stimulation may be added to the needles to magnify the healing effect. Which health conditions can be helped with Acupuncture? How deep do the needles go in? 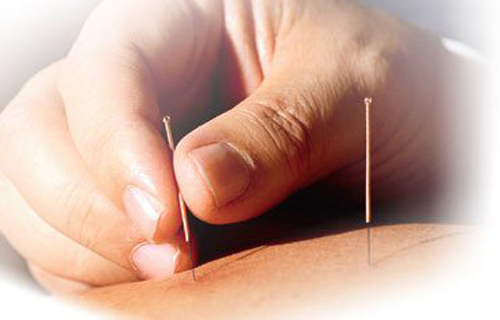 Normally, the acupuncture needles are inserted to a depth of ¼ to 1 inch (about 2 cm). How deep depends on the size of the person, the target structure and point location. How long is each Acupuncture session? For how long are the needles kept in? Once the needles are inserted, they are left in place for approximately 20 minutes. During this time, the patient, relaxes in a comfortable position. Are the needles sterilized? Is there a risk of getting diseases from the needles? Keyes To Health only uses sterilized, single use Acupuncture needles. That means the needles are removed from their sealed packaging at the time of use, are only used once and then disposed of in a sharps container. Furthermore, the area to be treated is swabbed prior to needle insertion, and the practitioners hands are scrubbed. That depends on the condition being treated. If the condition is fairly new and short-lasting, a patient may only need up to 6 Acupuncture sessions. However, if it is a more complex condition the patient may require anywhere from 5 - 15 Acupuncture treatments. Some very chronic conditions may require more sessions of Acupuncture. Does my Health Benefit Plan cover Acupuncture Care? Yes. The majority of Canadian workers have partial or full coverage for Acupuncture services in their workplace health care plans. OHIP does not cover these services. The Acupuncture patient is provide a detailed itemized statement listing the clinical services received, the credentials of the Chiropractor, as well as payment details for reimbursement. Do I need a prescription from my Family Physician? Where a treatment is provided by a Regulated Health Professional such as a Doctor of Chiropractic, medical prescriptions are not usually required for Acupuncture services. However, the patient must check with their insurance carrier to determine coverage. If you have any further questions please feel free to discuss these with the staff at Keyes to Health. You may also email Dr. Keyes directly from the website.